May drawing to a close marks the end of National Female Founder’s Month. 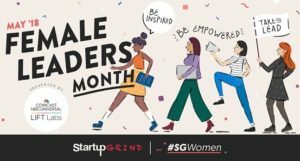 Here in the Triangle, one highlight was the Startup Grind’s Female Leaders celebration and awards. We’re proud to have the Founder of Leadership exCHANGE, Heather McDougall, awarded the Top Female Social Entrepreneur Award. Our fellow awardees include Jessica Mitsch from Momentum and Courtney Tellefsen of The Produce Box. Furthermore, a mere 31 days felt too short to highlight the many successes of the Triangles Female Bosses, so we thought we’d sustain its emphasis by talking to a few female business owners about what makes Raleigh an ideal community for a woman with an idea. Magdalyn Duffie moved from Charleston, South Carolina to found ‘Oh This Ole Thing?’ (@ohthisolething). “I think that companies around here, especially HQ, is really intentional about raising women up. 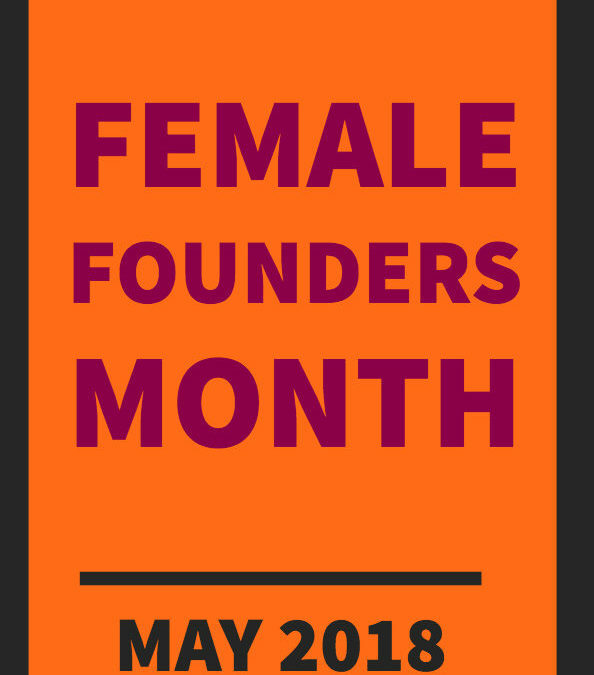 They have women founder’s day celebrations and networking events everywhere. If you seek out a women’s group in this area you will find one.” Duffie echoed that there is a spirit of a ‘rising tide raises all boats’. “People here consider you as someone in their arsenal, that they can go to instead of someone that is a threat to you” . Kristine Sloan of Tide Risers (@wearetiderisers) , a year-long cohort experience for women leaders working for the greater good. “I see a lot in the triangle area is that people are accessible in a way that I haven’t seen other places. I think there’s a warmth and an accessibility here. A hard truth is that female founders are not as common, so there is a scarcity that makes it so we’d rather learn from each other instead of compete. In my early career, I kept being told I needed mentorship and they kept pointing to men and I thought ‘there must be some powerhouse women in this area’ I left and came back, and the same thing was happening where I kept getting directed to men. So I founded Tide Risers, where women support other women. Women supporting other women is very tangible. It’s a cohort based experience with mentoring and one-to-one so she has built this model where women can launch their own cohort all over the country. It is that community that I didn’t see growing up, that wasn’t tangible yet. Heather McDougall, Founder of Leadership exCHANGE (@leader_exchange) is the winner of Startup Grind’s Female Social Entrepreneur award and co-founder of e51 (@e51com). Searching for a vibrant and growing city to relocate her social enterprise, she chose Raleigh/Durham over cities such as Austin, New York, and her hometown Denver. Katie Wyatt is the founder of Kidz Notes , (@kidz_notes) a company that engages students, pre-K through 12th grade, in an intense, fully integrated, out-of-school musical program that includes instrumental instruction, choir, music theory, general music, orchestra, and band. “I think there’s something about Raleigh that we welcome graciousness and the city is growing fast and I appreciate the spirit of inclusivity and curiosity. It’s a lot of small moments; it’s a combination of Ashley Christensen and Heather McDougall and Brooks Bell and Liz Tracy, and Sandy McDonald with the NC symphony. They are an example of the collective spirit. It is about lifting one another up but it is also about lifting people up in general, which is really prominent in women’s leadership. She is excited to continue the collaborative spirit at the national level by working with El Sistema. El Sistema is the movement that originated in Venezuela that sparked Kidz Notes. NoEl Sistema international movement for musical social change. Sarah Glova works out of HQ Raleigh as the founder of Reify Media, (@ReifyMedia) a web-development consulting startup. Uniquely coming from an academic background, we asked about her experience with the women’s entrepreneurial community as she learned how to start and grow her idea as a business. Additionally, Sarah just finished her Ph.D. from NCSU! “When I started this company, I was just a freelancer, without a background in business, so I had a lot of questions and I still didn’t see myself in a founder or CEO role. I joined some women business owner groups, I met some women business owners, and started to see myself as a founder and not as a freelancer. That shift happened when I was given the opportunity to ask questions and get really practical advice with no judgement. I think in a lot of business environments, you may be embarrassed to reveal what you don’t know. The women here gave me really authentic feedback and I wasn’t scared to show them what I didn’t know. I also think that we are also very diverse; we have a lot of cultures represented, we have a lot of people here that weren’t born here and I think there’s an interest in finding out what Raleigh is capable of together. Finding the right community was a process of trial and error, “I joined all of the business and start-up oriented organizations, and finally, a women business owner group. I’m from academia, and I knew that I didn’t have a business background. Next, learn more from the Kauffman Foundation (@KauffmanFDN) about creating this type of healthy ecosystem for women here. 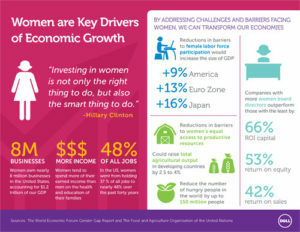 In 2013, according to the OECD, 57% of women declared that they would rather take the risk and start up their own business than work for someone else, compared with only 50% of men and 35% of women in the OECD area. According to Entrepreneurship.com, Over the past 15 years, these women-owned firms have grown at a rate 1.5 times other small businesses and are estimated to provide more than 5 million jobs by 2018. Firstly, Leadership exCHANGE in partnership with HQ Raleigh will be hosting a July and January Women & Innovation Program open to female students from around the world. “I am particularly excited to have the opportunity to help cultivate the next generation of female innovators. The Women and Leadership course is one of my favorites to teach.” Heather McDougall. Learn more information or sign-up. Secondly, e51 Co-Founders Sheryl Waddell and Heather McDougall are coordinating a Women’s Innovation Council that selects female student representatives from the Triangle universities to collaborate on women’s innovation programming. Want to nominate a student for the Council? Contact them! Keep an eye out for their internship fair.